Things can get swept under the rug pretty quickly when a team pulls out yet another overtime victory — as the Boston Bruins did on Tuesday night, holding off a comeback by the Detroit Red Wings and winning 6-5 just mere seconds into overtime following another game-winner by Brad Marchand. Amidst all of the excitement surrounding a showdown between Atlantic Division rivals, followed by a thriller of a hockey game that needed an extra period to decide a winner, the fact that Boston’s rookie defenseman Charlie McAvoy will miss a handful of weeks with a sprained MCL went somewhat overlooked. 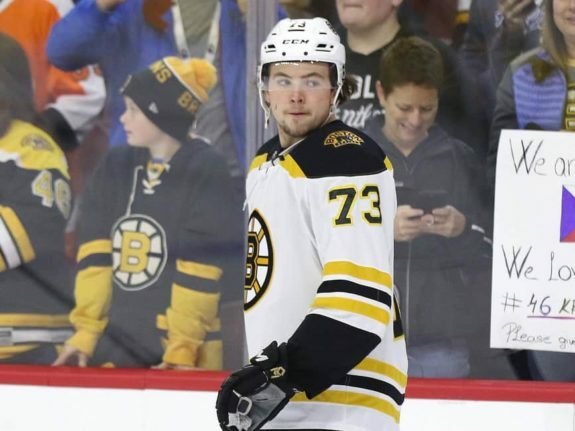 The injury happened in the first period of Saturday’s game against the Montreal Canadiens, when McAvoy chased down a puck in his own end and twisted his knee in the process. 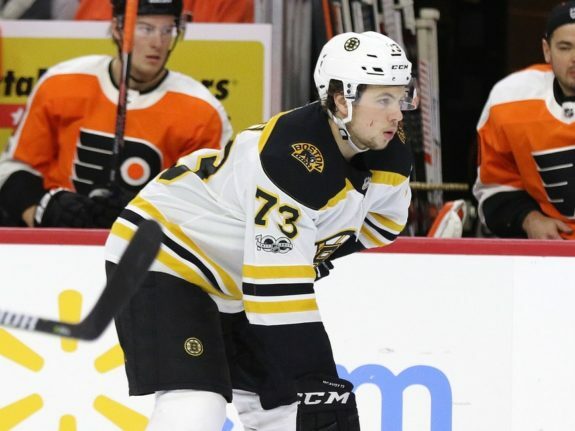 It was announced on Tuesday morning that the injury would sideline McAvoy for at least a month, essentially the remainder of the regular season. It’s no secret that all injuries are evil, and regardless of the player or team, nobody actually enjoys seeing anybody get injured. It could have been much worse, though. He’ll be re-evaluated in four weeks, and if everything appears to be okay, McAvoy should be back in time for the Stanley Cup playoffs (fingers crossed) instead of being out for the rest of the year. It was an unfortunate, but also a fortunate, break for the 20-year-old kid from Long Beach, New York. Here are the reasons why this is tough for McAvoy. The obvious reason: he suffered a knee injury, and he’s going to spend the next four weeks healing his knee instead of doing what he loves to do — playing hockey. There is no way around that fact. It’s a bummer. Another reason? McAvoy is getting sidelined at a very crucial part of the NHL season. There’s almost exactly a month left in the regular season, and the Bruins are near the top of the Eastern Conference standings. They are 41-15-8 following their win over Detroit, with a point total of 90. They are just six points behind the league-leading Tampa Bay Lightning, who are sitting pretty at 46-17-4. It’s pretty clear that Boston will be entering the Stanley Cup playoffs as one of the teams to beat. At this point in the season, the Bruins are just playing for seeding. They still have plenty of time to keep chopping away at Tampa Bay’s lead and secure home ice for the entirety of the Eastern Conference playoffs. Losing McAvoy, who has been one the team’s best defensemen with seven goals, 25 assists and 32 points (more than team captain Zdeno Chara) this season, certainly won’t help them chase down the Lightning over the final month of the season. I woke up this morning, and I immediately saw the notification on my phone about McAvoy’s injury. As a Bruins fan, my initial reaction was just a feeling of pure devastation. Other than David Pastrnak, McAvoy has been one my favorite youngsters to watch on this Bruins team this year. However, it was quite a relief when I realized that McAvoy only suffered a sprain and not a tear. His knee will be re-evaluated in four weeks, which is coincidentally about the same time that the playoffs will be starting, and if all goes according to plan, McAvoy should be able to get back on the ice as the Bruins make their push for the Stanley Cup. Bruins fans, including myself, should be thanking their lucky stars for this news. Even if McAvoy won’t be available to help his team overcome the Lightning in the playoff push, at least there is a solid chance he will be available for the actual playoffs themselves, which is far more important. McAvoy’s injury was upsetting, but not devastating. Boston fans know a little something about devastating injuries, especially after the way Gordon Hayward went down with a fractured ankle only five minutes into the 2017-18 Celtics season, ending his season before it even really began. There was also Tom Brady’s torn ACL back in the 2008 opener, just one season after the Patriots completed the only 16-0 regular season in NFL history. Brady missed the entire season, and the Pats missed the playoffs. Those injuries were devastating. 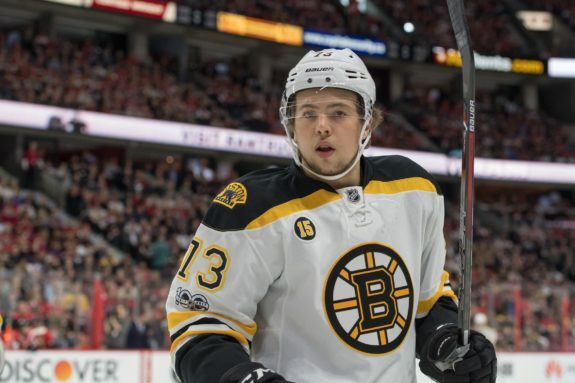 McAvoy’s injury is (hopefully) just a minor setback. Count your blessings, Bruins fans.